James Louis Williams was born on September 9, 1940 to the late Evangelist Lessie Pass and Raymond Williams Sr. in Lumberton, NC. He was educated in the New York City School System. James married Cherry Williams on August 8, 1987. He was employed and retired from UMDNJ as a supervisor. An avid New York Yankee fan, his favorite NFL team was the Oakland Raiders. James enjoyed listening to Oldies but Goodies music. James loved his family and friends dearly. 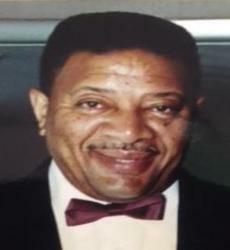 James was predeceased by his mother Evangelist Lessie Pass, father Raymond Williams Sr., brothers Raymond Williams Jr., Robert Williams Sr. and Willie Williams; sisters Reaver Graham, Patricia Jones, Dorothy Williams, Grace Williams, Myrtle Brockman, Sylvia Ariel and Carletta Williams; granddaughter Chanell Witherspoon, son Damon Williams, brothers-in-law Rev. Twillie Lee Curry Jr. and Timothy McCallister. James leaves to mourn his devoted wife Cherry Williams, daughter Sandra Gonzalez (Ulises) NJ, two sons Michael Williams, NY and Jamie Williams, NY; eleven grandchildren Shaquanna, Kharisma, Ashley, Kevin, Kenyon, Khalil, Shareed, Umar and Ansia; four sisters-in-law Luella Gilliam (Wilbert) CA, Emma Ferguson (Theodore) NJ, Michelle McCallister, NJ, Linda Curry, NC, four brothers-in-law Gregory Curry, NJ, David and Darryl McCallister, NJ, Eather Lee Curry, CA as well as a host of nieces, nephews, cousins and friends.